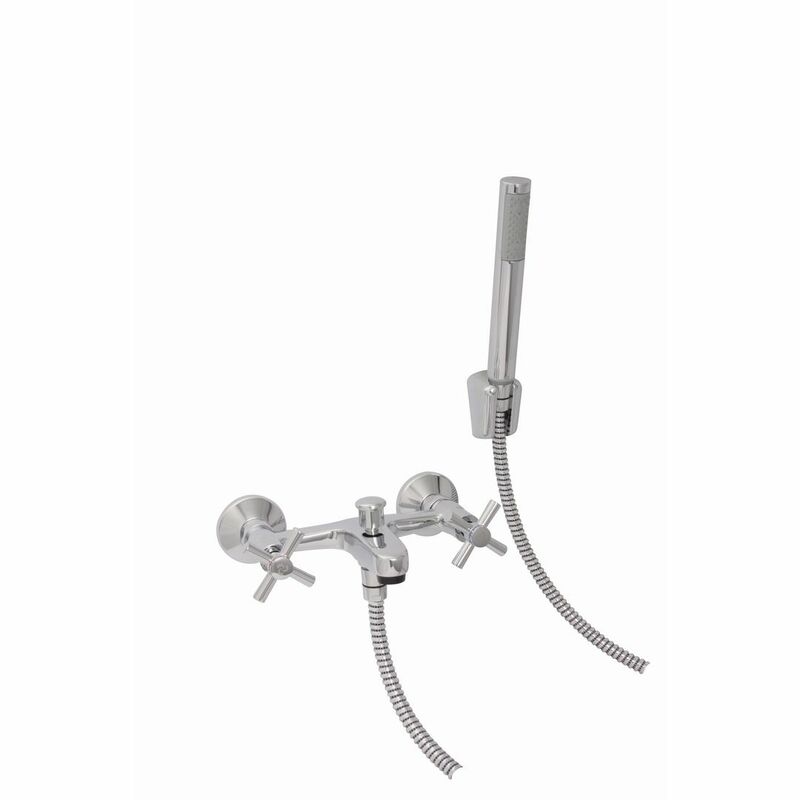 Ledimo bath mixer and hand shower set, wall-type, chrome-plated. 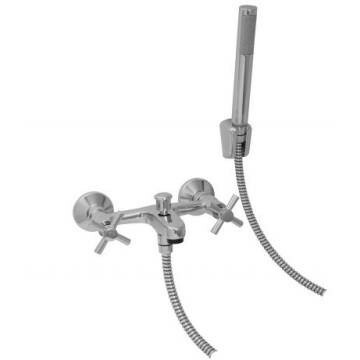 Includes: 3/4" BSP male inlet, hand shower hose and cradle, and concealed connections. 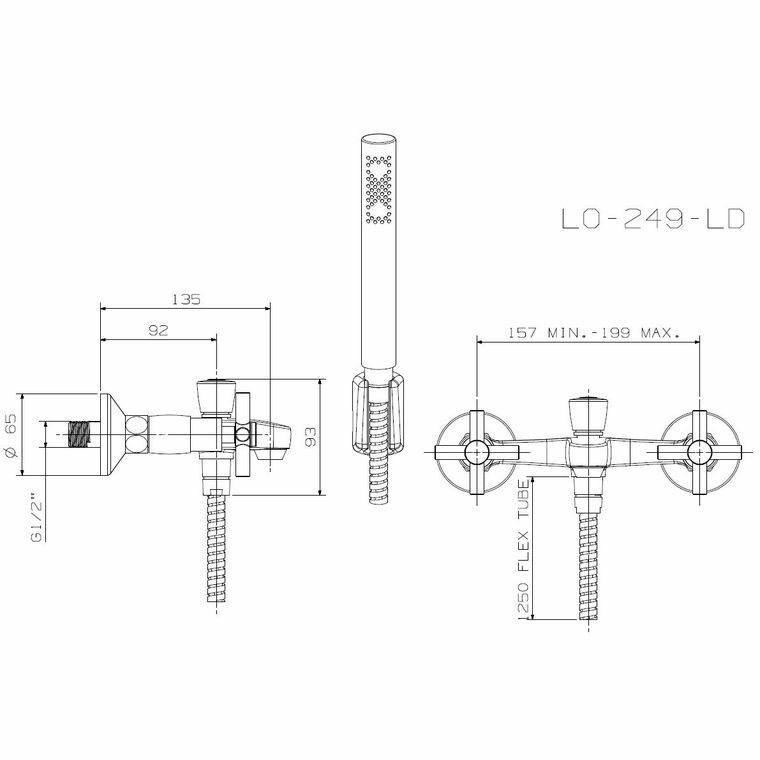 SANS 226 Type 2, DZR brass.